If this card is in your hand: You can target 1 Level 3 or higher monster you control; reduce its Level by exactly 2, and if you do, Special Summon this card. 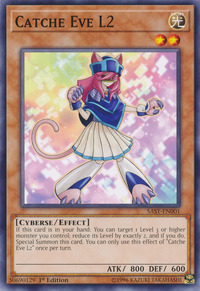 You can only use this effect of "Catche Eve L2" once per turn. This monster's name and design are a combination of a catgirl and L2 CPU caches. 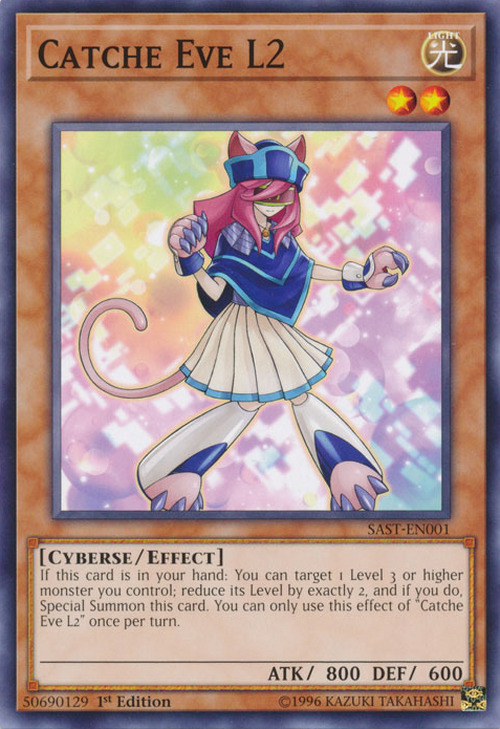 The L2 in this card's name is also a reference to this monster's Level and its effect that reduces the Level of a Level 3 or higher monster by 2.